Welcome to this episode of the Real Fast Results podcast! Dan Janal is today’s special guest. If you have a brand, or you would like to build a brand by writing a book, then you are definitely in the right spot. 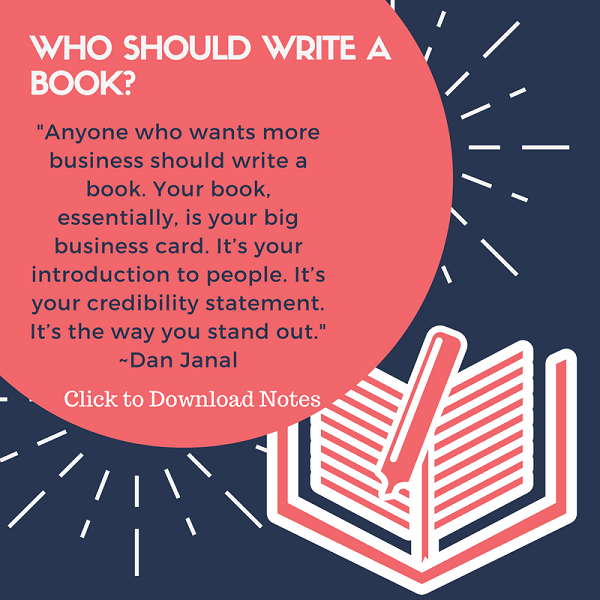 Dan has actually written more than a dozen books, and his latest book is called, Write Your Book in a Flash: The Paint by Number System to Write the Book of Your Dreams – Fast! Thanks for having me here. I promise you that the next few minutes will be very, very valuable for you. My big promise to you is that you will overcome the barriers to writing a book. You know, everyone wants to write a book, but somehow they talk themselves out of it. During the next few minutes, we are going to go over some of the most frequently asked questions. If you are a bricklayer, you show up for work every day. No one says, “Oh, I don’t feel inspired to dig my ditch today,” or “I don’t feel inspired to lay bricks today.” Or, “I’m waiting for some inspiration to come so that I can dig a ditch.” They just show up and work. Somehow, for writers, it’s like, “I’m looking at a blank page. I have writer’s block.” Well, you know, the secretary is filing a ton of insurance forms a day. She doesn’t get “filer’s block,” but somehow we get blocks. So, in the next few minutes we are going to overcome some of those blocks, and I’ll show you how you can write a book fast, fast, fast, fast, fast. Go to my website, which has the same name as my book, WriteYourBookInAFlash.com. That’s another rule for you guys. When you’re naming your book, use words that you can’t possibly misspell. WriteYourBookInAFlash.com. There are no crazy numbers, no 4’s and no 2’s. Nothing that’s like, “Oh my gosh! I wish that I had known that before.” Now you know. Pick an easy title and use keywords.